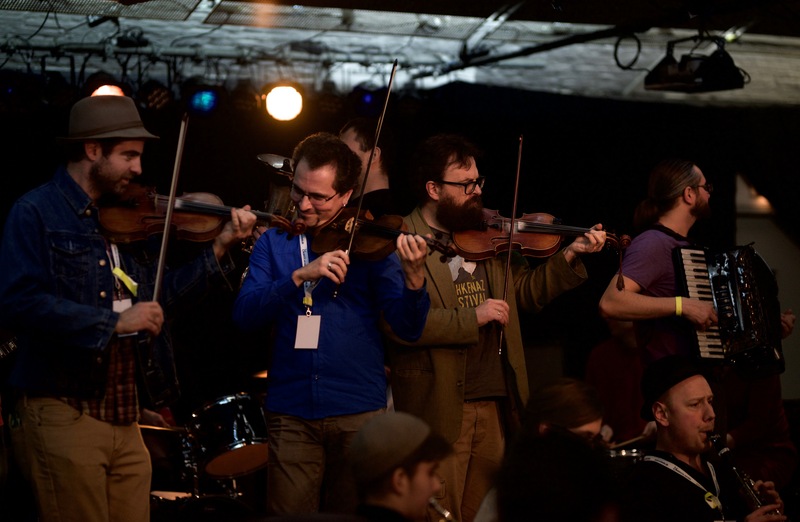 Klezmer singers and musicians gather in Berlin to make joyous new sound together. 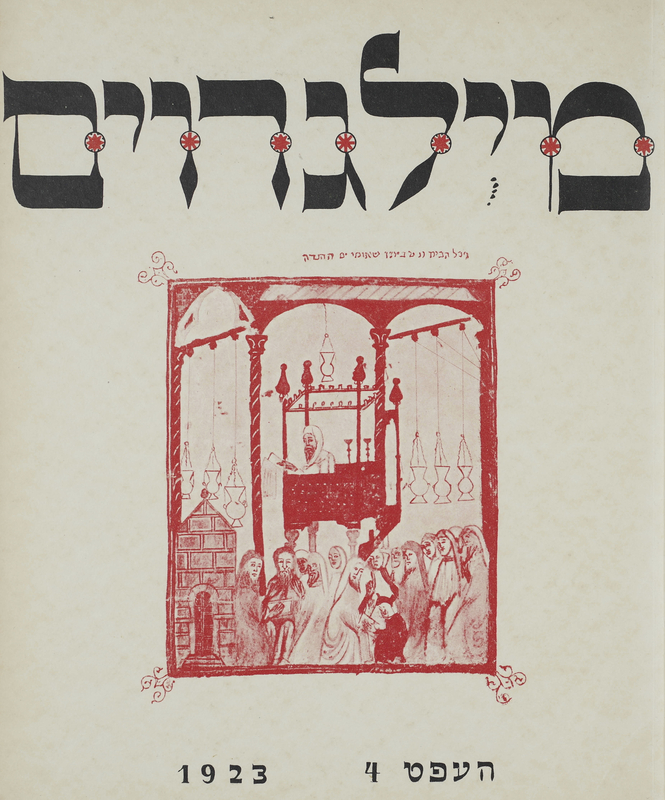 A comparison of the Yiddish journal Milgroym and its Hebrew counterpart Rimon, both published in Berlin in the mid-1920s. 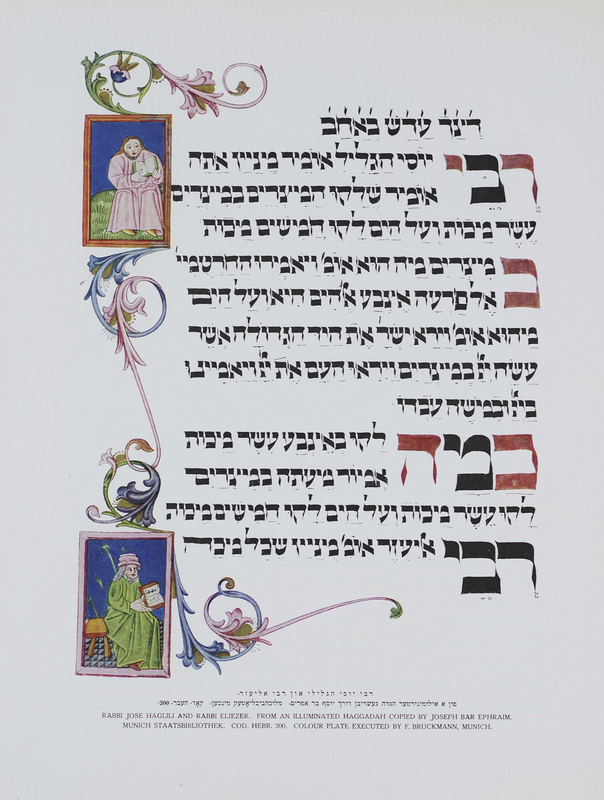 An ongoing series of translations from and scholarly and popular commentary about the spectacular interwar Yiddish literary and art journal, Milgroym. 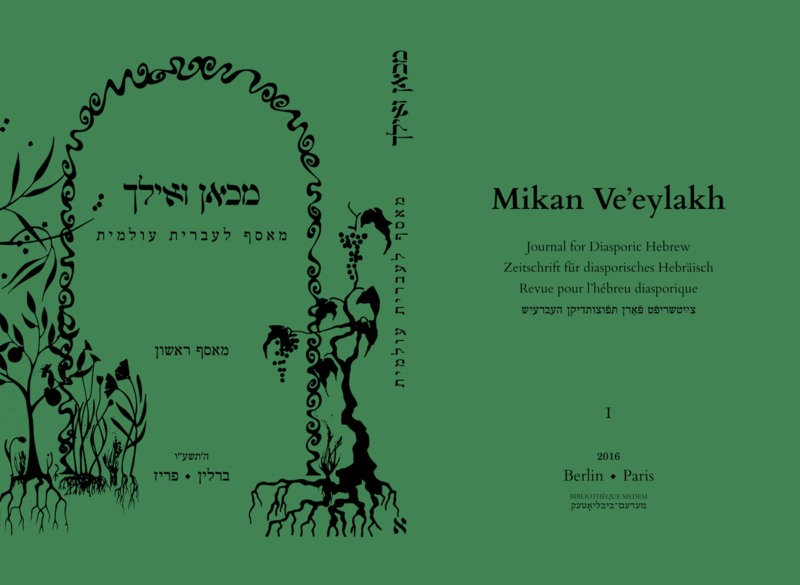 In anticipation of its third issue, here is the foreword to issue one of Mikan Ve'eylakh: Journal for Diasporic Hebrew. 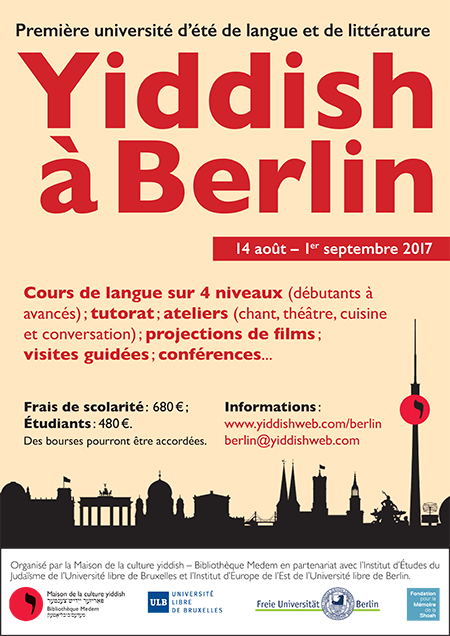 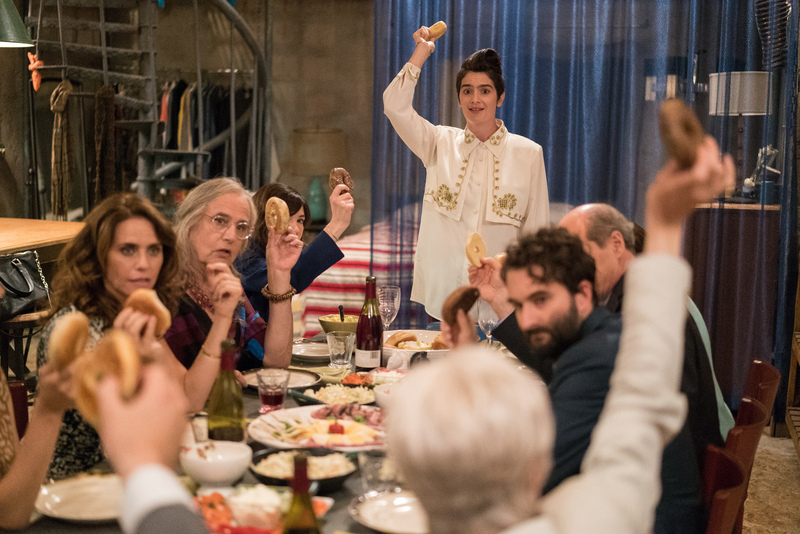 Weimar Berlin, Yiddish art journals, editorial conflicts—Naomi Brenner explains the cultural context of the journal Milgroym. 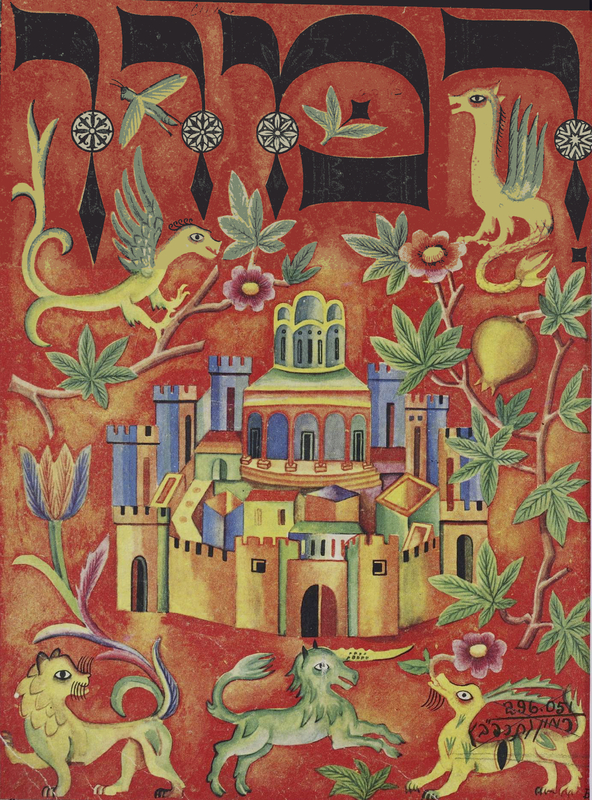 Reading Rachel Wischnitzer's editorial vision for the journal Milgroym as a "global museum." 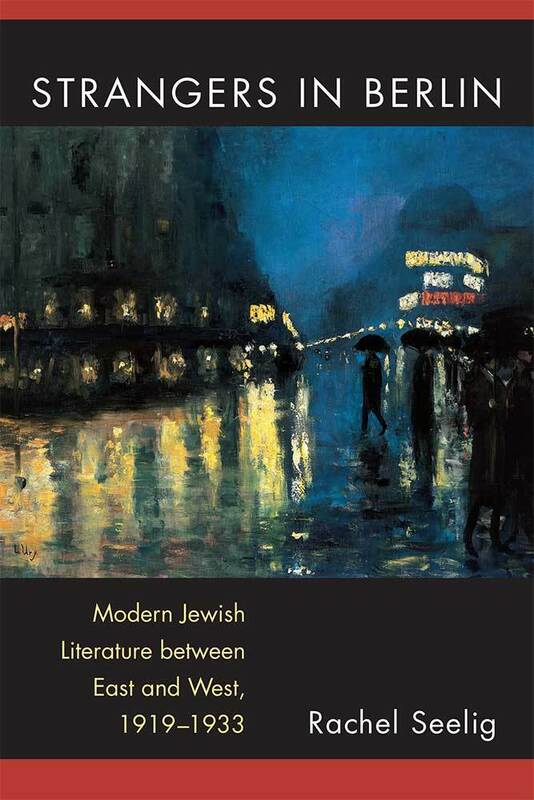 Seelig's new book explores the city of Berlin during the Weimar period as a "transit station" for Jewish literature written in German, Yiddish, and Hebrew.